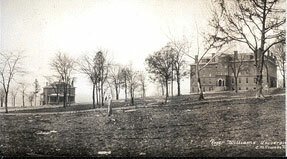 Left frame of Roger Williams University in 1916. One of four freedmen’s colleges in Nashville, Roger Williams University began as elementary classes for African American Baptist preachers in 1864. Classes were held in the home of Daniel W. Phillips, a white minister and freedmen’s missionary from Massachusetts. By 1865 the classes had moved to the basement of the First Colored Baptist Mission. In 1866 the “Baptist College” was officially named the Nashville Normal and Theological Institute under the auspices of New York’s American Baptist Home Mission Society (ABHMS). A year later, the school moved from old Union army barracks on Cedar and Spruce streets to a two-story frame building at Park and Polk Streets. In 1869 Phillips and the Nashville Normal Institute’s board members tried to purchase the adjacent former Union army Fort Gillem, but Fisk University’s officials gained the property and built Jubilee Hall on the new campus site seven years later. 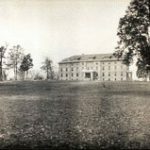 Soon after granting its first bachelor’s degree, the Nashville Normal and Theological Institute purchased Robert Gordon’s farm on Hillsboro Road and started a new campus in 1874-75. Vanderbilt University became the school’s neighbor on the west side of Hillsboro Road. In 1883 Nashville Normal incorporated as Roger Williams University. African Americans held faculty positions and served on the board of trustees. In 1886 Roger Williams expanded the curriculum to include a master’s degree program. 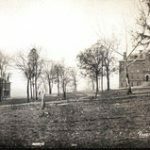 After mysterious fires destroyed its buildings in January and May of 1905, the ABHMS closed Roger Williams University and transferred students to Atlanta Baptist College (Morehouse College). George Peabody College for Teachers and area real estate developers purchased the property by 1911. Meanwhile, nearly three years after the mysterious fires, determined African American Baptist leaders raised money to match a gift from the ABHMS. In 1908 they reopened Roger Williams University on Whites Creek Pike on the east bank of the Cumberland River near the streetcar line and closer to African American neighborhoods. A graduate of Roger Williams University, John W. Johnson, became the institution’s first African American president. 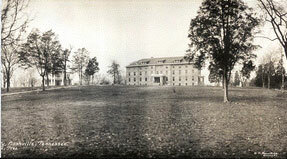 By 1922 the school had 159 students and twelve faculty members. Continuing financial problems led to the closing of the Nashville campus. On December 29, 1929, the students and teachers merged with Howe Institute (LeMoyne Owen College) in Memphis. By 1996 the American Baptist College and the World Baptist Center had occupied the last Roger Williams site.